the widely acknowledged, pre-Playhouse 90 high-water mark of live television. The film versions have displaced the abandoned-in-the-vaults originals in our cultural memory, but Playhouse 90 came first. ” said author Dominick Dunne, who worked as a production coordinator on the series. “But when it was good, it was great. ” Weaver, Robinson was one of the most vocal early advocates for quality television. The idea that the medium should aspire to some cultural significance, apart from its primary function as a source of revenue, became increasingly embattled in the late 1950s, as popular cookie-cutter Westerns and situation comedies appeared to affirm an audience craving for unchallenging fare. With a wearying regularity, Playhouse 90 became the front line on that battlefield of culture versus commerce. Robinson put out the welcome mat for underpaid artists. Teleplays would fetch $7,500, and top directors who had been earning $400 a week could command $10,000 for a single Playhouse 90 segment. The show’s widely publicized, $100,000-per-episode budget was high enough that CBS had to enroll three or more sponsors, which necessitated a whopping nine commercial breaks. Episodes of Playhouse 90 feel choppy even by the standards of modern network television’s 40-minute hour. Robinson and his newly hired producer, Martin Manulis, had to break it to the writers that their three-act plays were about to become six-act plays, with a surfeit of artificial climaxes. A sophisticated veteran of the New York theater, Manulis had the rare ability to earn the confidence of both the creative types and the network suits. 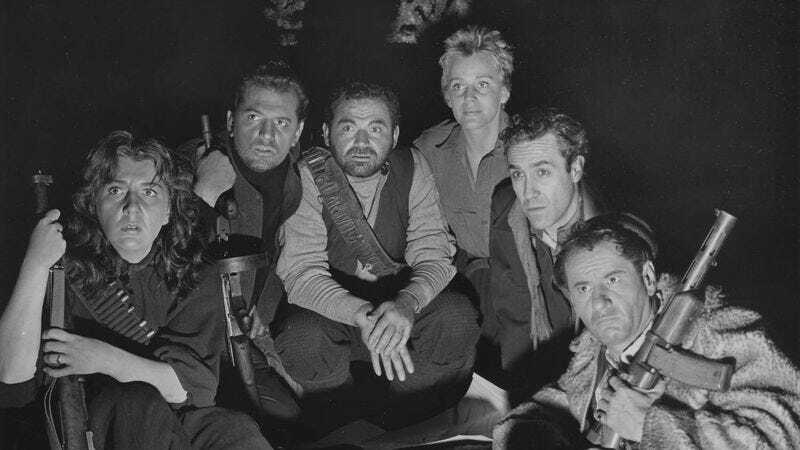 Prior to Playhouse 90, Manulis and his star director, John Frankenheimer, had rescued the live anthology Climax from a creative downward spiral that, er, climaxed when an actor playing a corpse stood up and walked off the soundstage in full view of the camera. (CBS fired the original producer the next day.) He would make Playhouse 90 a hit. Climax was the first major primetime anthology broadcast live from Los Angeles rather than New York. Playhouse 90 became the second and last. Although many of the Golden Age writers and directors still looked down on the West Coast as selling out, Los Angeles was a fait accompli. One of the reasons CBS had mounted the project in the first place was to get some use out of Television City, a new complex at Beverly and Fairfax that still stood mostly empty in 1956. For technophiles like Frankenheimer, the new studio was a kid’s toy box: a huge, state-of-the-art facility that could accommodate bigger sets and more cameras (four became the norm for Playhouse 90, but some episodes deployed as many as seven) than any stage in New York. (1955), live television as a visual medium did not reach its full potential until it moved into Television City. of Tab Hunter’s performance as Bashor, citing an unplanned moment in which Hunter stops to pick up a basket of spilled laundry just after his character has committed murder. It was a textbook case of how the immediacy of live television was meant to work. ” said Reisman. “And that can be very effective, particularly for actors who are thinking, ‘Well, I’m not quite sure of this.’” Veteran actors accepted his direction. and Janice Rule during the group-therapy drama “Journey To The Day. ” Along with Dana Wynter, who starred in two Frankenheimer segments, the actresses’ time on Playhouse 90 resulted in detailed, subtle, career-best performances. said production supervisor Ralph Senensky. Most of the live Playhouse 90 staff just pretended the filmed shows didn’t exist, and CBS discontinued them after the second season. ” (in John Houseman’s words), advising on matters outside of casting and acting as a liaison to the network. Winant mitigated the celebrity decree somewhat by casting against type as often as possible. “Ethel was really good about finding the other side of somebody,” said Manulis. and a Spanish bullfighter in “The Death Of Manolete. ” based on the William Styron novel. In an early scene Carson stumbled over the tongue-twister line “tank tactics,” and for the rest of the show he stammered constantly, looking like a deer caught in headlights and throwing off the other actors’ concentration. Viewers who witnessed obvious gaffes like that assumed that live television was improvised on the day of the show. Of course, the opposite was true, especially on Playhouse 90, which had an unprecedented 16 days of prep time (12 in a rehearsal hall, then four in front of the cameras). The luxury of rehearsal meant that directors could choreograph tremendously complex movements for the cameras and the actors and that complexity meant that things could go spectacularly wrong. The pressure involved in mounting a show under those conditions was, of course, enormous. The analogy everyone loved to use—Frankenheimer attributed it to the character actor Sidney Blackmer—was “summer stock in an iron lung. ” (one of many episodes about Playhouse 90’s second favorite subject, television itself) has the war buried deep inside: Its protagonist, a surrogate for Serling, is an insecure comedy writer who plagiarizes a script left behind by a buddy killed in combat. Martin Manulis burned out after two years. Playhouse 90 was a seven-day-a-week job, in which Sunday-afternoon story conferences around Manulis’ pool were the closest thing to a respite. After Manulis quit in 1958, he would always brag that it took three men to replace him. The three men were superstars of live television, or close to it: Fred Coe, who had pioneered the idea of commissioning original dramas for television on The Philco Television Playhouse; John Houseman, a founder of the Mercury Theatre, later famous as The Paper Chase’s Professor Kingsfield; and Herbert Brodkin, who would go on to produce Emmy winners like The Defenders and Holocaust. Coe and Houseman were contracted to handle half a dozen segments of Playhouse 90’s third season, with the bulk falling to Brodkin and a handful of one-shot guest producers. ” found a cross-section of middle-aged regret in the unlikely occasion of a summer camp parents visit. Some of Brodkin’s segments were so intimate that they were dwarfed by the size of the Playhouse 90 format but even that, in a perverse way, served as a defiant tribute to a fading mode of television drama. ” said Frankenheimer. “A network executive’d come down with notes, and you did what they said. You fought up to a degree, but when you lost, you lost. ” he said. “They chopped it up like a roomful of butchers at work on a steer. every time it was spoken on the air. Anyone else would have compromised at that point, but Brodkin, whose stubbornness and contempt for authority were legendary, let them do it. Although Hill was scapegoated and never directed Playhouse 90 again, the incident became a pyrrhic victory for Brodkin. The deletion of the word was so obvious that the press took note, and raked CBS over the coals for what stands as perhaps the ugliest and most infamous incident of live television censorship. ” worried Frankenheimer. The solution: cancel the live broadcast and shoot it all on videotape. ” Frankenheimer recalled. “We had no instruments to cut it; we cut the master with a single-edged razor blade. ” was triumphant, the quintessential Frankenheimer show. The director’s bold compositions concealed the artificiality of the studio tempest and zeroed in on the vulnerable performances at the center of the chaos. Most of Frankenheimer’s remaining episodes, as well as others from the third season and most of the fourth, were pre-taped. Videotape was like the atomic bomb—someone would have made it eventually, but Frankenheimer and Foote often lamented their role in killing the medium they loved. Playhouse 90, meanwhile, was suffering a commercial death as well as an aesthetic one. The ratings had faded over time and, with $4 million of ad time left unsold, cancellation after the third season seemed certain. Robinson arranged a fourth-season reprieve, but that was truncated at the end of 1959, when James Aubrey assumed the presidency of CBS and forced Robinson out. Among the first shows programmed by Aubrey, an especially rapacious and cutthroat executive, was The Beverly Hillbillies. He openly scorned anything highbrow. Immediately, Playhouse 90 was deprived of its regular time slot, the episode order was cut, and the taped shows already in the can were rescheduled as occasional specials. said Herbert Brodkin. “It couldn’t be allowed to go unscathed. Too good for television. It had to be destroyed. A handful of anthologies soldiered on into the early ’60s, but when Playhouse 90 ended, everyone knew the party was over. Critics rightly celebrate the series as a pinnacle; they less often notice that it was also an elegy. As it assembled the best and brightest of live drama, Playhouse 90 gradually undercut or outgrew what made its work unique. In its lavish budgets, its emphasis on celebrity, its cinematic aspirations, and its shift away from liveness, the show sowed the seeds of its own obsolescence. After Playhouse 90, live television had nowhere else to go. Next time: Donna Bowman takes one last, long look at How I Met Your Mother.